I love that quote from above because in fact that what the Lord has been teaching me as I am babysitting my three nieces and nephews for the past few months. I found myself feeding my beautiful nieces Elly who is 8 months, and in my heart frustrated at my circumstances and honestly resenting the fact that I seem to have no time to “work on MY stuff”. Which is alot of ministry work I do online and as this fleeting thought crossed my mind as I was feeding her the bottle as the Lord gently interrupted my thoughts to say, “Look at her, every time you feed her your feeding me. Your holding baby Jesus”. I began to recognizes how foolish I had been these past few months. I thought about how our savior came as a baby himself and I don’t know if Mary ever had someone watch Jesus who knows. lol Maybe her cousin Rachel and imagine her being frustrated because she had better things to do thank watch Jesus. Sounds so silly but all of these thoughts came to my mind at that moment and I found myself repenting before the Lord. These few months he indeed has been revealing how impatience I am and can be easily angered by children nonetheless. What is so sad is that I loooove children…honestly I really do lol I know that is part of my ministry. I would love to help and love on orphaned kids. However, how can I show unconditional love, patience and grace to broken, abused orphaned kids and not to my own nieces (slap to the face) Lord help me lol. So when the Lord called me back to my moms house a few months ago I just didn’t understand. Then having me work a full time job to being released from that job to now babysitting full time 3 beautiful, firecracker girls everyday has been quite of an adjustment for sure. The Lord gave me this rhema when I asked why he called me back home. Which has been becoming a reality ever day as the days pass on. I can get so anxious about my situation at times thinking Lord when, again, when again seems like I am always waiting. Now recognizing I am still waiting because it seems I still have A LOT to learn and dying to self. You see a couple months ago I got a job marketing an online ministry which I was so excited about. Besides that I have this blog to write weekly, Thinking that watching my nieces is not “ministry work” so I would hurriedly get one ready for school, feed the others and anxiously rush to get to work online. I found myself being easily irritated or impatience when I would be interrupted ( now I am like Nana they are kids for goodness sakes that’s what they do best smh). I found the Lord chastising me in my alone time with my lack of patience and my frustration concerning my circumstance rather than thanking him. He began to remind me once again, that He is right here with me and I am doing none of this alone unless I wanted too. So I should see him on the couch with me when I watch them play, changing the diapers with me, fixing their bottles with me in the kitchen, just so ever present with me through it all. Not only that but to see him in each of my nieces. That in Elly (10 month) I get to witness baby Jesus growing up before my eyes, that in my (3 year old) niece I get too see Toddler Jesus growing up and my (4 yearold) niece Zay Zay I get to take care of a paralysis Jesus. He indeed is in each of them, so as I serve by nieces I am serving Jesus! One day sometime last week he told me to leave my work and enter into child like grace by playing with the kids for an hour. Oh how refreshing it was! So I am learning even in the waiting the most important thing is not the destination, or even what you do but that you recognize that HE is with you. Furthermore he loves to be invited in your day in the most minimalist task to not only be with you but DO it all with you. So will you invite Jesus to DO “it” with you you? Whatever that “it” maybe , why not let “it’ be EVERYTHING you do….do it with JESUS! 13 Then Samuel took the horn of oil and anointed him in the midst of his brothers. And the Spirit of the Lord rushed upon David from that day forward. And Samuel rose up and went to Ramah.” ……. This past Tuesday we had our young adults service where the pastor talked about insecure and secure leaders. She made stark comparisons between the leadership of Saul and David. There was one thing that really struck my heart, that after David being anointed king he immediately went back to doing what he was doing…tending the sheep. Then later was summoned to serving the reigned King Saul. He immediate wasn’t placed on the throne, He never showed any impatience about Gods timing , He didn’t feel that tending the sheep was beneath him now that he had been anointed king. To be frank he didn’t allow his new found title or anointing to cause him to despise returning to his humble beginnings. David trusted God in the preparation and the process. There is a lot I can learn from David. I was like waaaaa lol, okay Jesus. The interesting thing is I have a heart for children and I know I am called to them. One prophecy I received is that I am called to missions and my life will be a testimony to children. I always had it in my mind to raise a lot of kids or even a orphanage. So I should’ve known that the Lord was preparing me with children ministry 101 with my nieces and nephews. Every step in this journey has been preparation. The Holy Spirit brought to my remembrance what was said at our young adults service about King David this week when I woke wanting to sit in my discouragement and discontentment. Nana, you are just now in your sheep field as David was that doesn’t take away your anointing, doesn’t take away the calling upon your life or my presence. As David went back o the sheep field after being anointed to be prepared some more so do I train my servants the same way who are called to a high calling. Find your confidence, security and trust in me and me alone not what you are doing. Don’t become impatience but trust in the field is where you are being trained. At your mom’s house is where you are being trained to “love until it hearts, for charity begins at home”, where you learn to put children before ministry, where you learn how to be patience with he little ones and teach them about me, where you learn how to manage your time and multi-task, where I am preparing you for motherhood, where you learn humility and total reliance on me. Trust MY preparation and MY process, when you do that I am forced to continuously give you more graces to do what I have called you to do. So have you found yourself excited, called and anointed by God for a task but you find yourself going back….back too your sheep field (whatever that may look like). Back the the place of humble beginnings and it looks like you have gone backwards then forwards? Well, praise God lol Don’t get discouraged, impatience, or discontent but began to first see the lesson he wants you to learn in your sheep field and most importantly trust the preparation and process being secure that the Lord our God is faithful to finish and complete what he has started! Have you ever been stood up? Have you ever kept a date waiting or waiting on date who seems to have no respect for your time? Well, can you believe many times that’s what we do to Jesus. Many times we would like to think God is a distance, cold, judgmental, harsh, unemotional person but, he isn’t at all. Many have him all wrong! We forget that Jesus came on earth, fully man so he has very real human needs, emotions, desires and longings that only YOU can fulfill. A week ago I found myself doing this very thing, I saw Jesus on a picnic table with all this food waiting on me, and he had tears running down his cheeks. Some might say wait, God has needs and desires for me, noooo but, I beg to differ even in scripture he talks about his jealous love for us and how we are His desire. You see as a bride of Christ he longs and desires to be with his bride. Spend quality time with his beloved and how it pains him so much when we neglect him for worldly things or even desires. That’s exactly what I did a few weeks ago. I found myself waking up randomly @5 am abruptly but, peacefully from my sleep. I have come to know when I wake up in the middle of the night full of energy for no reason that is the Holy Spirit waking me up because He has something to say or Jesus calling me into prayer or worship. So I had a strong sense that the Lord was calling me into his bridal chambers to spend some alone time with him. Now at the same time we have very real opposition from the enemy would love for us to be not sensitive to the Lords heart, distracted and put our attention on other things when Jesus calls us. That’s exactly what he did and I fell for it (slap hands to the face). So when I finally went into worship and prayer, oh my goodness my heart was broken to pieces. I saw Jesus on a picnic table with all this food waiting on me, and he had tears running down his cheeks. Which broke my heart and caused me to cry as well. I knew he had been waiting for a long while and I felt in my heart he was so hurt that I chose the macaroni then him. It may seem silly to some that God would care that much in the smallest detail of our lives or even in the decisions that we make to bring him to tears but he does. He made me to understand that He had this heavenly feast prepared for me that would’ve satisfied my soul. Yet I chose to follow my flesh instead and indulge on something that only temporally satisfied. Furthermore, to make it more painful I kept him waiting, My God, the creator o the Heavens, the Lover of my soul, My savior called for me and I stood him up over macaroni. 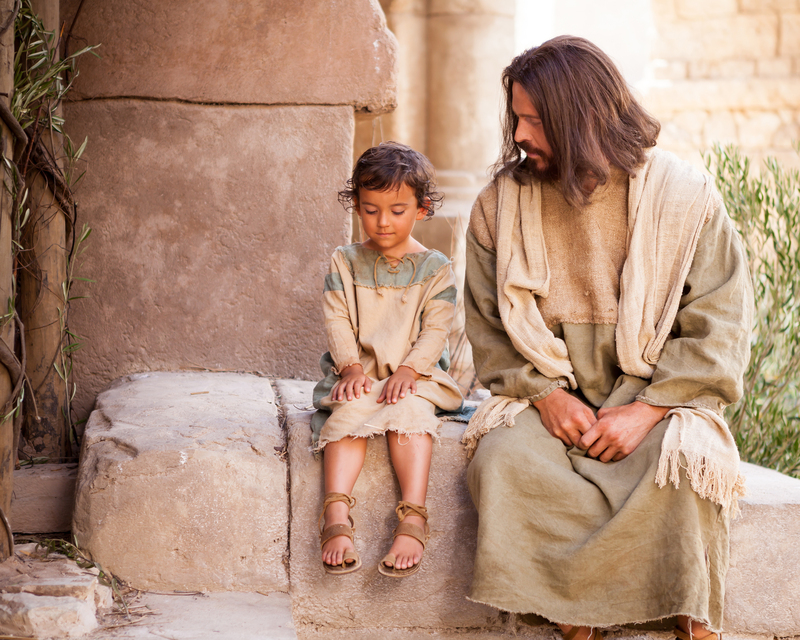 He then spoke to my heart how so many of his children do this on a daily bases, I then saw different images of Jesus having a date prepared and just waiting….waiting… being left all alone and most of the time being stood up, no one shows up. It broke my heart because it broke his, I had to ask the Lord to forgive me and I comforted him with my worship. How many times have you made a commitment to spend time with Jesus, to go on a date with him, to give him a certain time frame, or certain hour that you designated just for Jesus? Then something comes up, you forget, you do something else a movie, social media or even worse you use that time to spend on someone else and you stand him up. You casually think to yourself, oh God understand, he doesn’t care. Wrong, wrong, wrong….you see he does. The very thought of having quality time with him came from Him. He is so much more excited to spend time with you then you are with him. YOU are the highlight of his day, the apple of his eye, His heaven on earth. In a world where its dark, where majority of the population rejects him, insults him, is angry at him, blasphemes and mocks him. He takes so much solace in hearing one person, one of his brides respond to his love and CHOOSE him from all the things in the world they can do. Do you know how that makes him feel…. it makes him feel like He is indeed Lord of your life and it heals his wounded heart. You bring healing to the heart of your God by worship and prayer. He loves to bask in Your presence, can you believe that….the creator of the universe loves to bask in YOUR presence so will you make take for him and if you have will you be committed to your time and most importantly will you choose Jesus every time when He calls?……He is waiting with excitement, don’t stand him up! We hear this “Christianize” phrase often if that’s what you want to call it but, its a pretty solid question. Most believers say it, we declare it in songs…”Jesus your all we need”, “Less of me more of you”, “Christ is enough for me”. Now lets be honest how many of us actually believe that and live by that? Well that’s exactly what the Lord has been teaching me this week or should I say challenging me with that question. Asking ” Nana am I truly enough for you”? Hmmm I love this picture honestly I imagine that’s how I look like with Jesus about half the time, Lord help me lol. I’m so gratefully that He is so patience, tender and gentle with me even when I pout when his will doesn’t match up with my desires. You see this past week I found myself falling into anxiousness again bewildered about what the Lord was and is doing in my life. He finally spoke to me about a job He wanted me to apply for. Finally, I thought after 6 months of unemployment with it ending today I just knew that I would apply and would get a quick response, interview and of course the job. But, no I haven’t heard anything back from them, hence the anxious thoughts began then follows the doubt. I found myself looking at my situation and being discouraged this morning. I started thinking about my lack of provision, what I was going to do, with No job, no car and if I can be honest no husband lol. Yes, I started thinking about all of it like Lord when, Lord when. I realized I had based my joy and all my emotions based on my circumstances and what I didn’t or did have rather than Jesus. How often as believers do we do that, yet we say Jesus your are enough. I had the most amazing experience a few days prior where i felt power and electricity shoot through my whole body. The feeling was so amazing it took my breath away literally, then immediately after breathing in I felt like a gush of warmth, felt like Gods love and goodness wash over me. It was enough to make me melt lol Seriously, I felt as if Jesus had held his breath and blew on me, it was soooo wonderful and in that very moment. I knew why David said this one thing I inquire of and seek is to dwell in the presence of the Lord for all the days of my life. For David, Jesus became enough! He had all of Israel , all the riches and as many concubines he could have but for King David that wasn’t enough all he wanted was Gods presence. In that very moment I realized that’s all I wanted, that’s all we were created to desire is Gods presence. I found myself in my prayer closet thinking If I had a husband in my bed, children running around, a nice vehicle outside, my dream job and amazing ministry that would honestly be NOTHING compared to Gods presence. Most importantly it would mean NOTHING without Jesus. At that very moment I didn’t care for anything else in the world but my sweet Jesus and to be in his presence for all the days of my life. I just wanted more of him and to know him more that’s it. Jesus forgive me for putting selfish desires, selfish ambitions and things before you. Forgive me for finding contentment based on my circumstances rather than what was done for me by your sacrifice on the cross. I pray Lord that I would abandon myself to your perfect will, that I would become nothing and you would become everything in me and through me. Humble me Lord, I pray that I would lay die my life and worldly passions. Deliver me from the opinions of others . I pray that I would have the full measure of your Joy Jesus within me and I would find contentment and joy in you alone. May the one thing I seek and inquire of is to dwell in your presence for all the days of my life. May you be enough for Jesus name. Amen! If I can be honest this week has been a little rough, well a lot of rough. Started to have those anxious feelings rise up again. Asking the Lord when Lord when, what’s next, what should I do, when will things change, where is the breakthrough, am I in your will or have I missed it? All of these thoughts and much more bombarded me this week. I had to remind myself, “Nana you have been here before. You know better than to entertain these thoughts. Don’t go down this black winding pit the enemy has set up for you”. There is a difference in being called and waiting to be sent as our pastor put it lol. When the Lord calls you and you answer that call. You then have to go through the process of waiting until you are sent out for ministry. So I find myself waiting again. It feels like my whole walk with the Lord has been just that…waiting. Having to trust in Gods timing whiles fighting against discouragement, moving ahead of God, listening to what others say, comparing myself to my peers and my flesh. In the Waiting….God is working behind the scenes! Waiting a lot of times doesn’t look like your accomplishing anything because in actually most of the time that’s when God is accomplishing hidden things on your behalf. I had to remind myself this week and I am pretty sure for the rest of my life in different seasons lol. I found myself excited for the new year, breakthroughs and the promises of God to finally materialize. I just knew that direction would come immediately, I should’ve known better lol. I found myself with finances running so low, still unemployed no direction for employment, then my phone got slammed in my car door after purchasing a new phone a week prior. I was unable to see the screen make calls or answer messages. Then my car door wouldn’t open with my ignition and no money for locksmith hmmm. So have been stuck in the house all this week….so I thought to myself more suffering Lord uuugh!! Immediately wanting to throw a pity party..okay I did for like 2 days lol I was reminded of what the Lord had spoken to me before “Abandon yourself to my will, or you will become bitter and full of anxiety”. I thought of course Lord your right you have taught me to give thanks in everything and trust that you plan out my day. So instead of fighting this and allowing the enemy to get a foothold. I saw this as an opportunity to give thanks instead. One I will miss this season where I had hours to spend time with Jesus. So that’s what I felt the Lord wanted me to spend more time with him and in prayer. The reason I was anxious because I found myself wanting to do something, to be busy about the Lords business rather than be at home not working and nothing to show for it. At least what I thought but the Lord reminded me with this scripture. That as bad as I want to be “doing something” the best thing of all is to be in his presence and sit at his feet. That’s where my roots would become deep in Him, that’s where he lays the foundation of what he wants to do through me. That’s where he heals me of wounds, binds up my injures and cleans out my heart of any displeasing things. That’s where I learn to look like him, act like him and become him. That is indeed what we need most to be still at his feet as long as we can before we can do any “work” for Jesus. I have also learned that waiting in the eyes of God is not only sitting still and waiting on him but actively waiting. Being obedient whiles waiting, worshiping whiles waiting, being patience and serving whiles waiting. That was a lyric from a song the Holy Spirt has been playing during my alone time. Which is so true, that’s a prophetic word I got two weeks ago. Which I was just reminded of when these feelings and attack came my way. I began to think that I wasn’t in Gods will or I need to do something different. However, we just need to continue serving, listening and living for him steadily until he makes things clear and he says now go, this is the way walk in it. One step of obedience at a time will lead you into your purpose. Reading the scriptures I was reminded Jesus was prepared 30 years for 3 years of ministry, Moses waited 40 Years, Joseph waited 13 years. Jesus please don’t let me wait that long LOL but, I know if it is the will of God waiting is always best because that’s when preparation takes place. The longer the preparation, the more equipped and the bigger the impact. So Lord help me us to give thanks in the waiting. Help us to trust and know that you are working amazing things behind the scenes Jesus. Help us not to compare ourselves to others or even listen to others opinion about where we should or shouldn’t be. Give us the grace to patience and actively wait on you for its not our life anymore but yours in Jesus name!